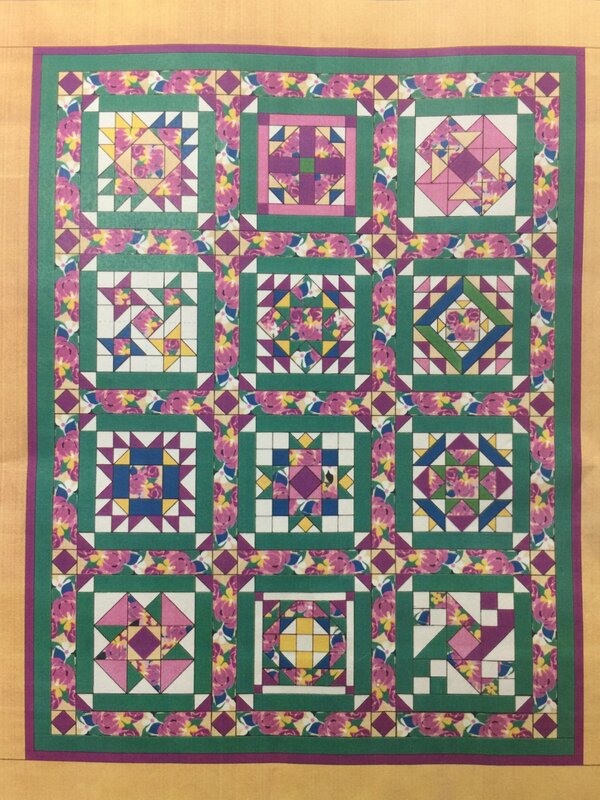 A Saturday Sample is a series of 12 different blocks made monthly to be combined into a finished quilt top at the end of the program. You will need to pay $5 for the first block and attend class to pick up your block and watch the demonstration of how to complete it. Take it home and sew your block to bring back to the NEXT month's class and you will get block two for FREE! If you do not have your block finished, you can purchase the next month's block for $5. We will kit the blocks in four different color ways so that you can choose the one you prefer. Fabric requirements for the sashing and borders will be provided so that you can purchase what is needed to complete it- or shop in your stash! We will need to know how many kits to have prepared for the first session, so please sign up as soon as possible.